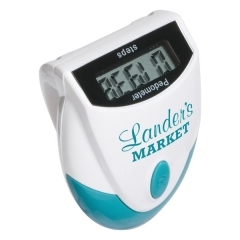 Let your customers get rid of all things that weigh them down by giving away the custom designer top view pedometer. 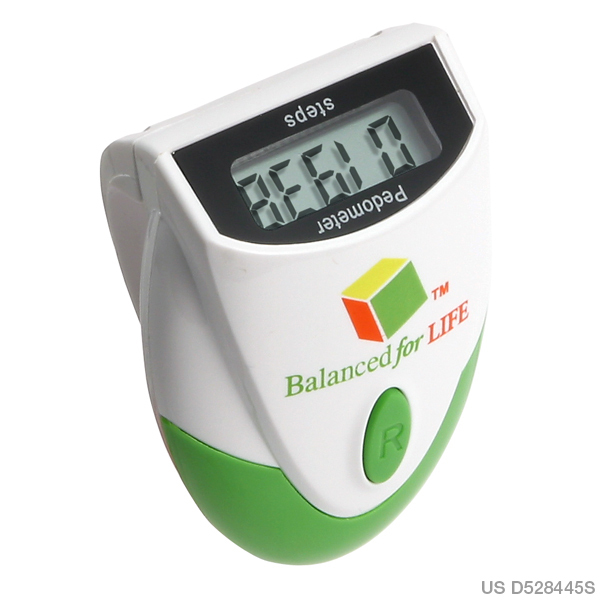 These green devices are wonderful enough in promoting your brand name far and wide. 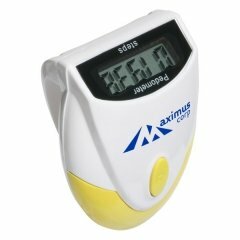 Its size is 2-1/8” x 1-1/2” x 1” and offers a perfect platform for your brand imprint. The personalized designer top view pedometer can record your steps up to 99,999. 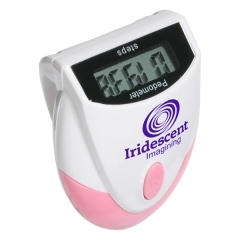 The recorded data will be displayed on the top view LCD display. The promotional designer top view pedometer is very handy since provided with a secure belt clip. A single button battery is inserted in this device. 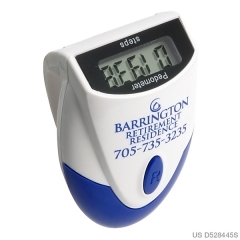 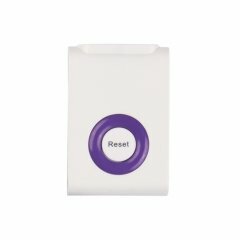 This custom pedometer is energy saving as it has an auto shut off and idle mode function.